SYNTHROID is a replacement for a hormone that is normally produced by your thyroid gland to regulate the body's energy and metabolism and used to treat conditions like hypothyroidism (low thyroid hormone). It is also used to treat or prevent goiter (enlarged thyroid gland), which can be caused by hormone imbalances, radiation treatment, surgery, or cancer. 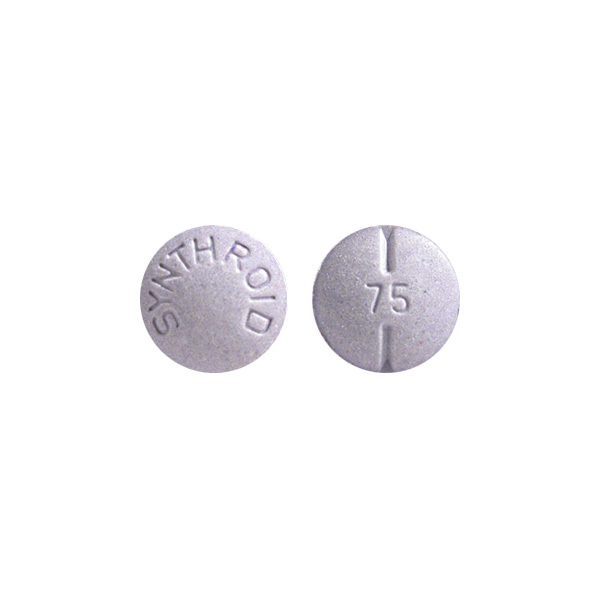 SYNTHROID is very useful in treating hypothyroidism (low thyroid hormone), goiter (enlarged thyroid gland), which can be caused by hormone imbalances, radiation treatment, surgery, or cancer. Take SYNTHROID without a meal in empty stomach. Please drink a full glass of water with SYNTHROID. SYNTHROID is a replacement for a hormone that is normally produced by your thyroid gland to regulate the body's energy and metabolism and it is given when the thyroid does not produce enough of this hormone on its own. Store SYNTHROID at room temperature between 68 and 77 degrees F(20 and 25 degrees C). Always keep it in a cool dark place that is not directly exposed to sources of heat or moisture and sunlight. Protect it from kids and pets. Doctors advise against using SYNTHROID if you are allergic to any ingredient in it or if you have history of heart attack, chest pain (angina), adrenal gland problems, or elevated thyroid hormone levels that have not been treated. Doctors may prescribe certain laboratory tests to determine how you have responded to treatment and to gauge the severity of the side effects of SYNTHROID. Please Keep all lab appointments and do not miss any tests. Please inform your lab technician or surgeon that you are taking SYNTHROID before you undergo any emergency surgical procedure including dental operations. SYNTHROID may cause harm to fetus. If you are expecting a child or are planning to have a child in the near future, then consult your doctor before using SYNTHROID to discuss any possible threats to the unborn baby. If you are a nursing mother and breast feed your baby, then too, seek consultation before using SYNTHROID as some drugs are excreted in the breast milk and may enter the baby.